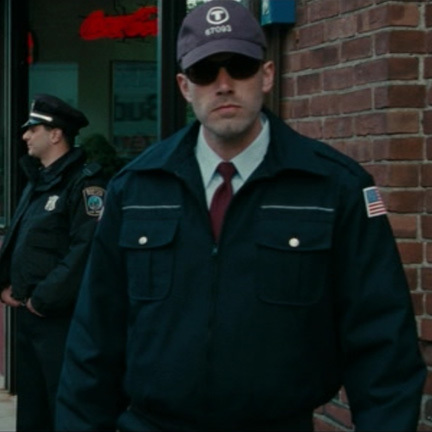 This Boston Transit Authority bus driver's uniform was worn by the character "Doug MacRay" portrayed by actor Ben Affleck in the 2010 motion picture "The Town." 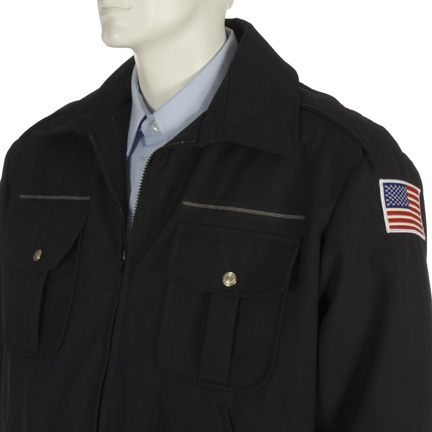 The costume consists of a padded navy jacket with American flag and Transit logo patches, a blue short sleeve shirt, a pair of navy pants with blue side stripes, and a navy cap with Transit logo and "67093" embroidered on the front. 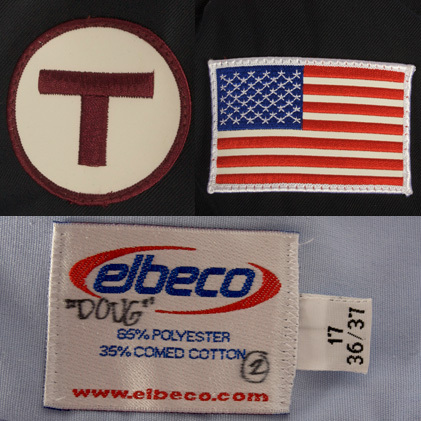 The interior shirt label has the character name "Doug" handwritten in black ink, and the interior of the cap has traces of make up from its use during filming. 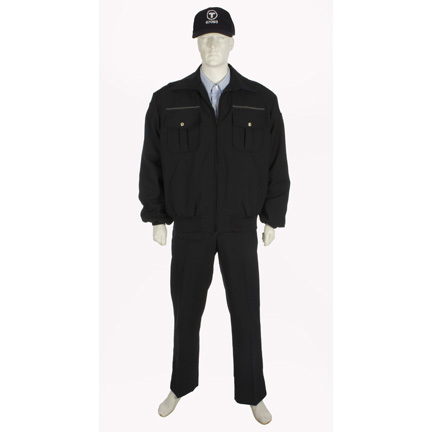 Doug wore this uniform after escaping from the FBI during the robbery at Boston's Fenway Park. 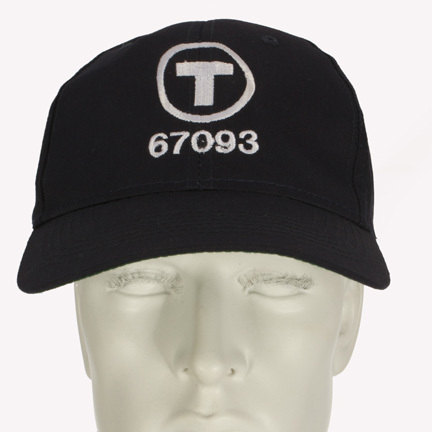 Doug calls his girlfriend while still in his EMT disguise and realizes she's being pressured by the FBI to help trap him, then returns to his safe house and grabs his Boston Transit Authority shirt out of the closet before appearing in his full bus driver's costume for the following sequence. 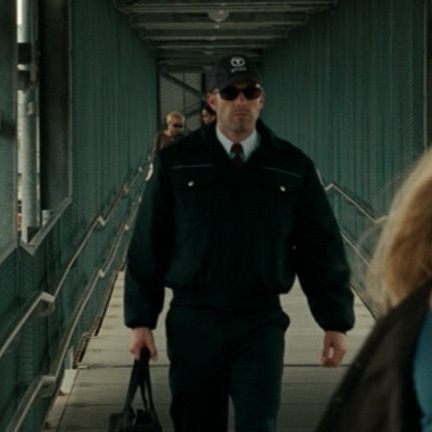 "The Town" was directed and co-written by Ben Affleck and featured outstanding performances by Jeremy Renner, Pete Postlethwaite, and Jon Hamm. The film received numerous awards and nominations, and actor Jeremy Renner was nominated for an Oscar for Best Supporting Actor for his work on the film. 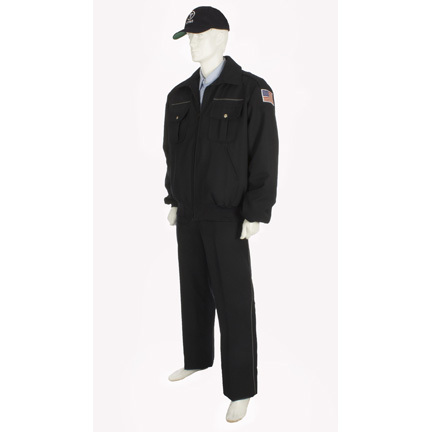 The garments are in very good screen used condition with minor evidence of wear. Accompanied by a letter of authenticity. Presented by The Golden Closet, your premier source for iconic screen used wardrobe, props, and collectible music entertainment memorabilia.